THE NATURAL HAVEN: Giveaway : Henna and Rhassoul for 10 readers!! Giveaway : Henna and Rhassoul for 10 readers!! A few months back I talked to the lovely Akua Wood as part of my work to highlight small businesses (interview will be in the Natural Hair Magazine). The business (Sheabutter Cottage) which is based in UK has huge appeal to me as she is both fair trade and ethical. Plenty of her products are sourced from farmers and community projects in Africa. 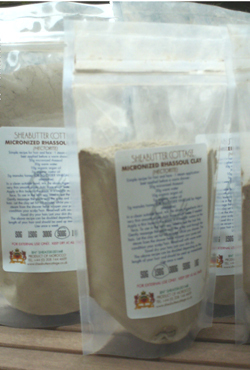 Sheabutter Cottage will ship worldwide and commercial quantities are available for those looking to distribute! Akua is offering readers of The Natural Haven a fabulous prize! There are 5 sachets of pure Henna (100g each) and 5 sachets of spa quality Rhassoul Clay (150g each). If you are keen to try either of these then here is your chance. Sheabutter Cottage will ship worldwide so anyone can enter!! 1. Entry is open to readers so you have to be either a follower here or on twitter. 5. Winners will be selected randomly! Enter me--Rhassoul Clay or Henna! Enter Me - Henna or Rhassoul Clay. Thank you! Enter Me - Henna or Rhassoul Clay. Please enter me for Rhassoul Clay! Enter Me - Henna or Rhassoul Clay. Thanks! Enter Me - Rhassoul Clay or Henna! Enter me- Rhassoul Clay or Henna. Thank you! Enter Me- Henna. Thanks much. Enter Me - Rhassoul Clay or Henna. enter me- henna or Rhassoul clay. Thx! enter me - Henna/Rhassoul clay! Thanks! Enter Me -- Rhassoul Clay or Henna! Thank you! Enter Me- Henna or Rhassoul Clay. Enter Me - Henna or Rhassoul Clay Please!!! Enter Me - Rhassoul Clay! Enter me - Rhassoul Clay or Henna!! Enter Me- Rhassoul Clay or Henna. Thanks! Enter me- Rhassoul Clay or Henna! Enter me - Rhassoul Clay. Thanks! Enter me - Rhassoul Clay or Henna. Thank you!!! Enter me for the Henna please. i absolutely love your blog!!!! I've shopped at Shea Butter Cottage before, so I know that Akua's products are good. Thanks for the giveaway. Question what is Rhassoul Clay and what are the benefits? Enter me Henna or Rhassoul Clay. Thanks! And thanks so much for doing this! crossing my fingers! Entry for Anon with a Yahoo email address (I am not putting up your email address as spammers like to pick them up). Ooooh!!! Enter me por favor!!! Henna or Rhassoul Clay. Happy with either! Enter Me - Rhassoul Clay or Henna! Thanks. Enter me - rhassoul clay. Enter Me - Henna or Rhassoul Clay!